Small car based on Volkswagen Up. Ideal for town. Economical and cheap to run. Fun to drive. Lower prices than Up and SEAT Mii. Cheapest versions not under 100g/km CO2. High incidence of gearbox and clutch failures lost it a star. Timing belts need replacing at 3 years or 30k miles. Report of change of timing belt of 2014 Skoda Citigo ASG at 18,000 miles. Now the ASG clutch is showing signs of failure. 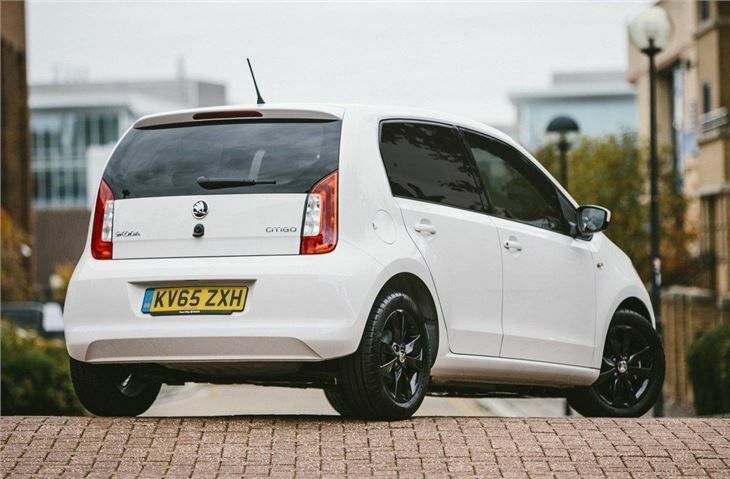 The Skoda Citigo may be a small car but it has big talents. It’s easy to drive and park, surprisingly practical and well put together, plus it’s cheap to buy and run. 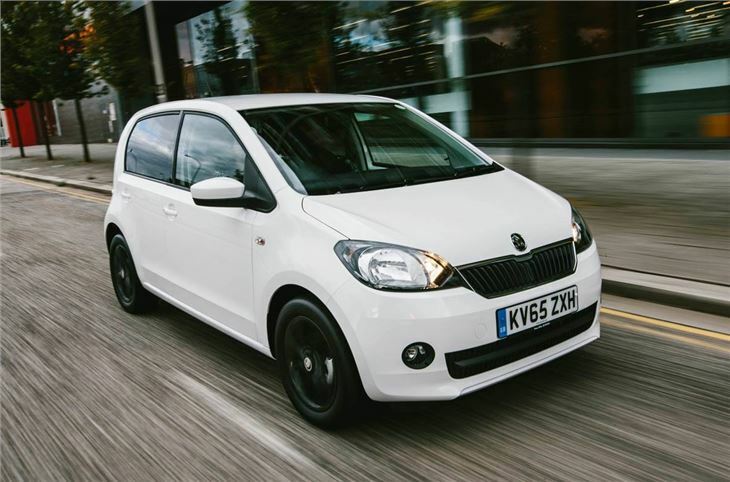 The Citigo costs a little less than its near identical Volkswagen Up and SEAT Mii stable mates, so if you’re seeking the best value for money it’s a great choice of small hatchback. 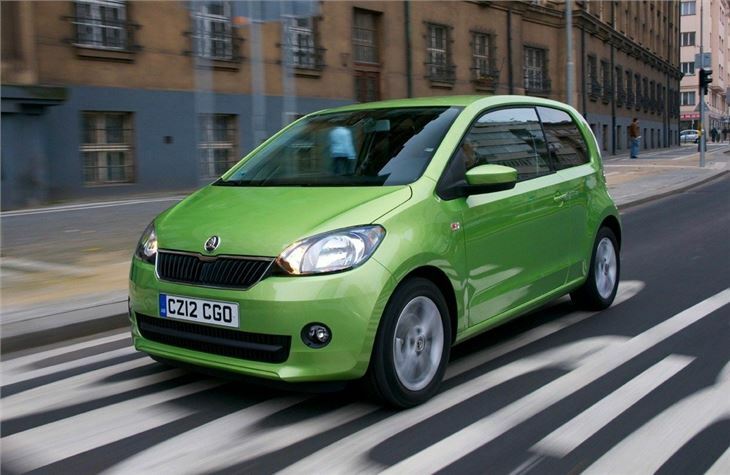 All versions of the Citigo are sold with a 1.0-litre three-cylinder petrol engine, with either 60PS or 75PS. 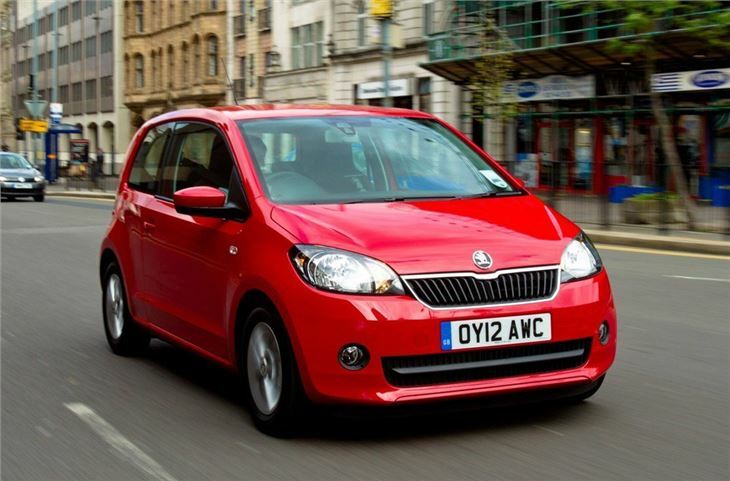 In real world driving there’s very little between the two, especially around town where the Citigo is most at home. For those who spend a lot of time on the motorway the higher powered version is a better choice. It’s great fun to drive despite having very little outright power – the ‘wheel in each corner’ design makes it nimble, agile and easy to thread through gaps in tight urban traffic jams. Even out of town it’s enjoyable on a twisting road, but the suspension shows its lack of sophistication over broken surfaces, where the ride can become noisy. 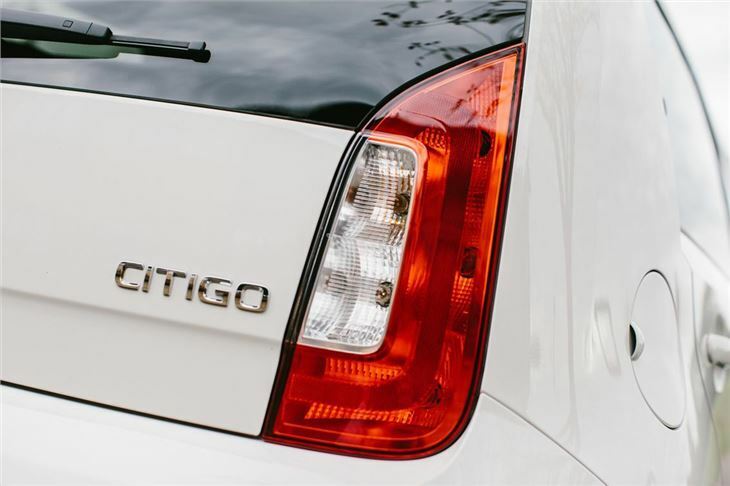 Despite the Citigo’s small size, it is surprisingly spacious. From the driver’s seat the car feels a little on the narrow side, but headroom is excellent and it’s easy to get comfortable. The back row is tight but it’s fine for short journeys or for children, plus there are Isofix points for child seats. Both three and five-door versions are available and the latter has wide-opening rear doors. 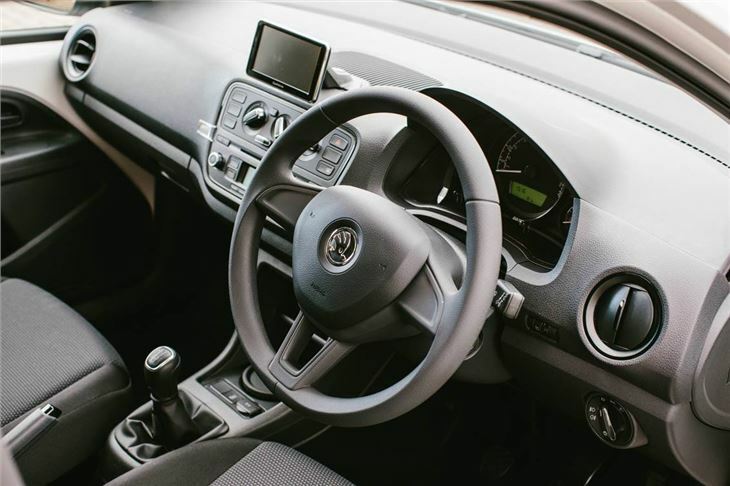 There’s plenty of equipment on offer, including an easy to use navigation system on upper trim grades, but those who go for an entry level S model will do without a few key creature comforts including electric windows and electric door mirrors. 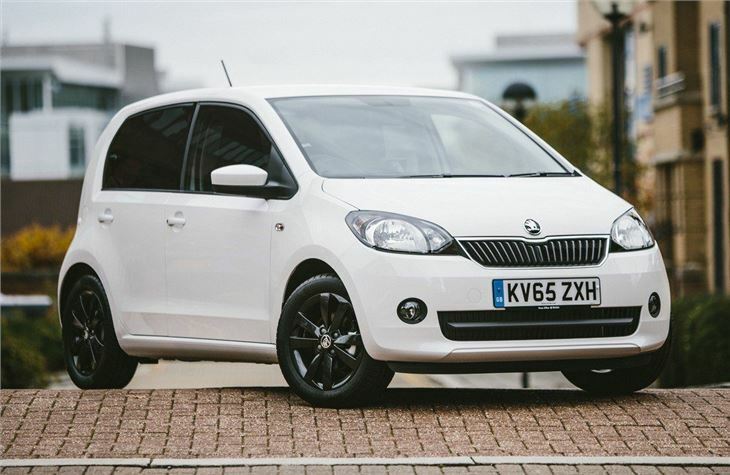 There are numerous extras packs on offer to add things like a panoramic glass roof, cruise control and parking sensors. Smooth,comfortable, well built, and considering the power/weight ratio performs well.